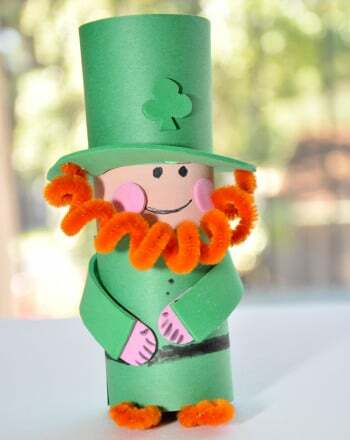 Tap into your Irish roots by making this charming leprechaun hat vase, the perfect complement to a St. Patrick's Day meal of corned beef and cabbage. 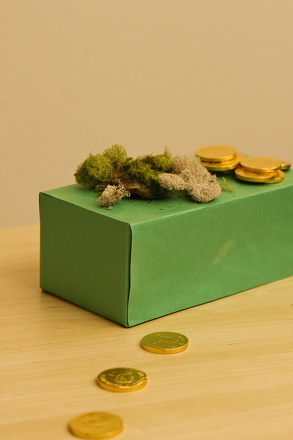 Simple and quick, this activity is easy on the pocketbook but heavy on the charm! Have your child measure the height of the vase. 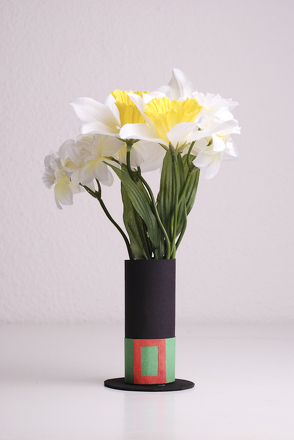 Ask your child to cut the black poster board to the length of the vase and 15" wide. Set aside the poster board scraps (but don't throw them away). Roll up the sheet of poster board and place a rubber band around it. Set it aside for at least half an hour. Rolling the poster board will help your hat stay together better. While you wait for the poster board, print out the hat templates onto the card stock. Have your child cut out the templates to use as stencils. Have her trace the belt buckle onto yellow construction paper and cut it out. 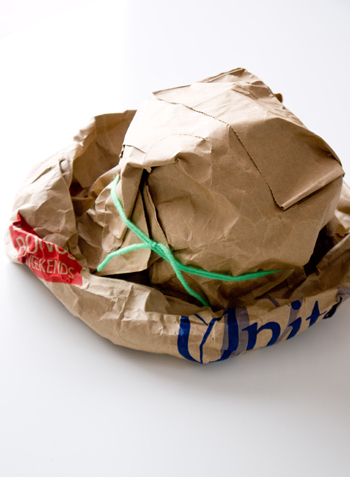 Trace the brim and top of the hat onto the leftover black poster board scraps with a white crayon and cut them out. When it's time, remove the rubber band from the rolled-up poster board. 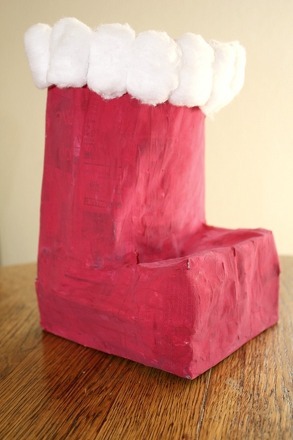 Have your child glue the ends of the roll together to form a cylinder with a 5" diameter. 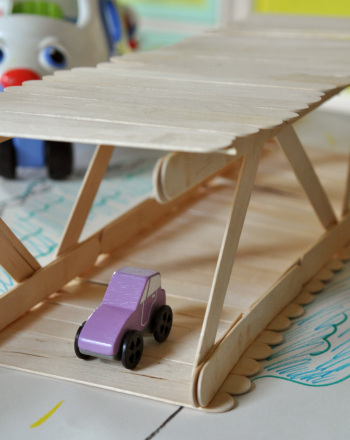 Ask your child to cut a 3" x 17" strip of green construction paper or foam. Have her carefully glue the green strip around the bottom of the poster board cylinder, then glue the yellow buckle over the green strip. Place the cylinder over the vase and set it on top of the brim. To finish your hat centerpiece, have your child tape the top of the hat piece to the edge of the hat so it dangles to one side. Arrange some pretty flowers inside the vase, and place your centerpiece on the dining table for instant St. Patrick's Day cheer! Patrick's Day word search contains words like "leprechaun" and "folklore." 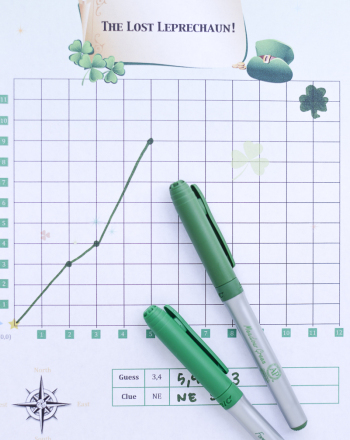 Have your kid expand his vocabulary with this St. Patrick's Day word search.